“Yes, we’re blind, and yes, we can’t do things that you can do with vision. But that doesn’t mean that we aren’t our own personalities, our own citizens, our own independent parties,” Grey said. Grey’s always had an interest in poetry. He writes his own poems in his school's newspaper. He enlisted the help of his teacher, Emily Nostro, with his idea to send out poems in braille. “A lot of times people don’t encounter braille outside of being in elevators or on the rooms of doors, and so we kind of wanted to give people the opportunity to interact with poetry and braille in a meaningful manner,” Nostro said. The braille poems will be mailed to the recipients at the end of April. Each poem will also include an alphabet card that explains the project and how to read the poem. 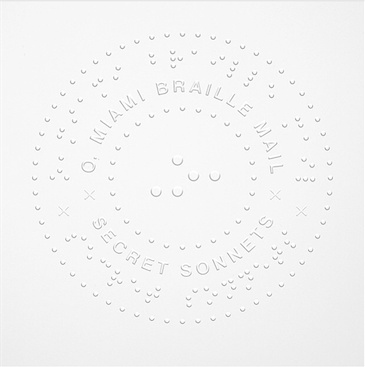 Those interested in sending a braille poem to someone can submit one on the O, Miami website.